OCM BOCES is pleased to announce that our crew of communications professionals received eight awards in the statewide 2017 New York School Public Relations Association Communications Contest. Our communications professionals work at the main campus of OCM BOCES in Salina and at the Central New York Regional Information Center in Syracuse. They also work for many of our local school districts in the region. NYSPRA will present all awards at the annual New York State School Boards Association convention on Oct. 13 in Lake Placid. To learn more about the CNYRIC’s e-Communications services, including website design, graphic design, and remote and on-site public relations, please go to www.cnyric.org/e-communications. 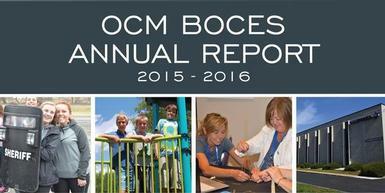 To learn more about the OCM BOCES Marketing Department, please go to our communications web page.